The summit of Mauna Kea Volcano on the Big Island and the summit of Haleakala are two of the most sought after astronomical observation sites in the world. Lava flows on Haleakala date to at least 1.1 million years ago. The Haleakala Volcano erupted most recently sometime between 1480 and 1790 A.D.
Nene is the name for Hawaii’s state bird, which is a medium-sized goose currently endangered. About 300 of these birds live in Haleakala National Park as well as other locations throughout Hawaii. The Haleakala Crater is located on the Hawaiian Island of Maui. The name Haleakala is Hawaiian for “House of the Sun”, and the sunrise over the volcano is one of the major draws for island visitors. In 1866, Mark Twain wrote in the Sacramento Daily Union that this was “the sublimest spectacle I ever witnessed.” It’s possible to book sunrise tours, many of which will include a breakfast picnic, stop at the beautiful Puu Ulaula Overlook and drive through the scenic Kula District on the western slopes of the volcano. For experienced cyclists, a thrilling ride down the more than 10,000 feet of switchbacks of the Haleakala Highway is also popular. This is a dangerous road, so you really need to be experienced. Because of the danger, the park service has banned commercial bike tours. If you want to experience the countryside on the slopes, horseback riding and hiking are also popular. It is possible to camp here, although you are limited to stays of three nights. From the summit, you can look down into a huge crater that is seven miles long by two miles wide. Surrounding the crater is Haleakala National Park. The park covers more than 30,000 acres, and includes the summit district, the Kipahulu Valley, and the Ohe’o Gulch with its many pools and waterfalls. There are numerous beaches on the coast around the Haleakala Volcano, particularly on the west and southwest coasts. Some of these are difficult to reach, and almost all are totally pristine. 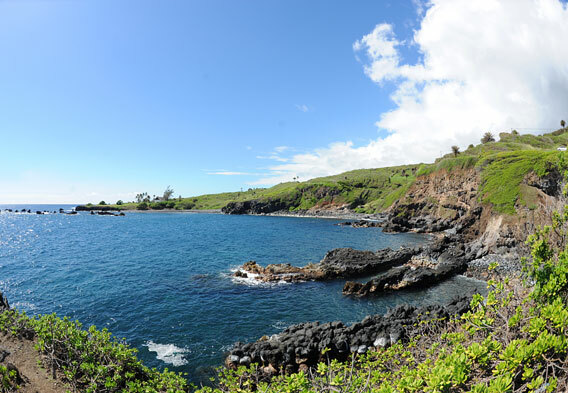 Along the southwestern coast and south of Wailea is Makena Beach State Park. While it is only 165 acres, it boasts three magnificent beaches. 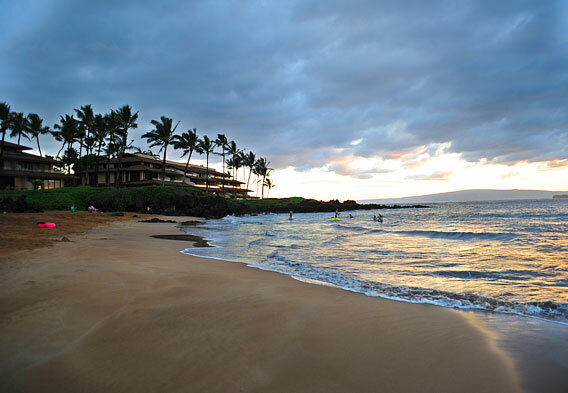 Big Beach (also called Makena Beach and Oneloa Beach) is the largest of the beaches at 1.5 miles in length. It is fairly protected from the wind and waves, so is not the best surfing beach, but it’s excellent for body and boogie boarding, and the sand is sugary white and fine. It is backed by lush green cliffs, and the rainforest clouds that come from the top of Haleakala often cool the area. There are several Maui resorts here, including the Makena Beach Golf Resort. Both alongside and off the Hana Highway you will find many amazing waterfalls. One of the most beautiful is the Waimoku Falls, set inside a thick and exotic bamboo forest along the Pipiwai Trail, in the Kipahulu Valley section of Haleakala National Park. The hike takes anywhere from two to five hours, but the breathtaking waterfalls and the primeval bamboo forest make it well worth the effort. The falls drop about 400 feet down a lava rock face, making this the tallest of all the falls on the island of Maui. 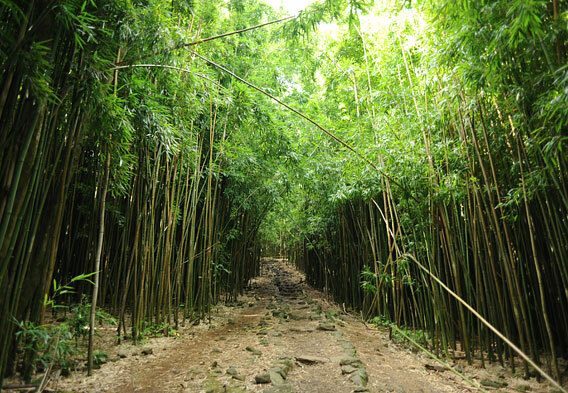 The Hana Highway is also known as “the Road to Hana.” It is one of the most iconic drives in all of the United States. It stretches for almost 70 miles over more than 60 bridges and along a twisting route as it hugs the unblemished coastline from Kahului to the town of Hana along the southeastern coast of the island of Maui. Along the route are secluded beaches, unexplored rainforests with waterfalls and crystal clear pools, and wonderful scenic vistas. Past the town of Hana and within Haleakala National Park are the Seven Sacred Pools, a series of beautiful waterfalls and freshwater pools.